A Chinese woman has been found dead in her apartment near Atlanta, and the police are offering a reward for the whereabouts of the man suspected of killing her. A Chinese woman has been found dead in her apartment near Atlanta, and the police are offering a reward for the whereabouts of the man suspected of killing her, local media reported Tuesday. The victim, surnamed Li, is believed to be a 28-year-old alumni from Georgia Institute of Technology(GIT). She did not show up for work and was found dead late Monday in her Smyrna apartment by police. 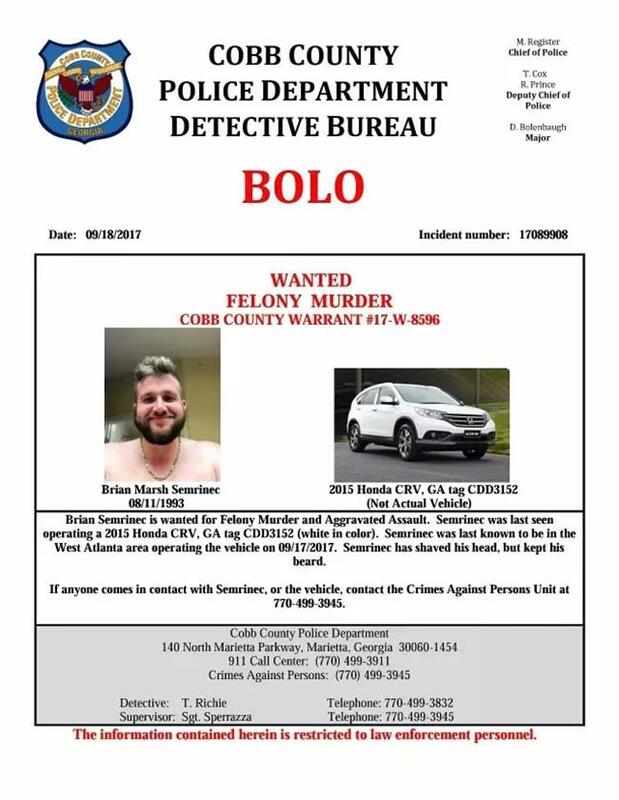 Local police has identified the suspect as 24-year-old Brian Marsh Semrinec, who is believed to be driving Li's 2015 Honda CRV with Georgia tag CDD3152. The police said Semrinec has been charged with aggravated assault and felony murder, and they offer a 2,000 US dollar-reward for leads. The Chinese Consulate General in Houston said it will reach out to local police and request a speedy investigation. The Chinese Students and Scholars Associated of GIT have issued a warning to Chinese in the region to stay safe. The incident is the second case in four months involving a Chinese woman living in the United States being murdered. A female Chinese student named Zhang Yingying, who was studying at the University of Illinois at Urbana-Champaign, was reported missing on June 9 after entering a car. A suspect was arrested on June 30 but Zhang has not yet been found and is believed to be dead.